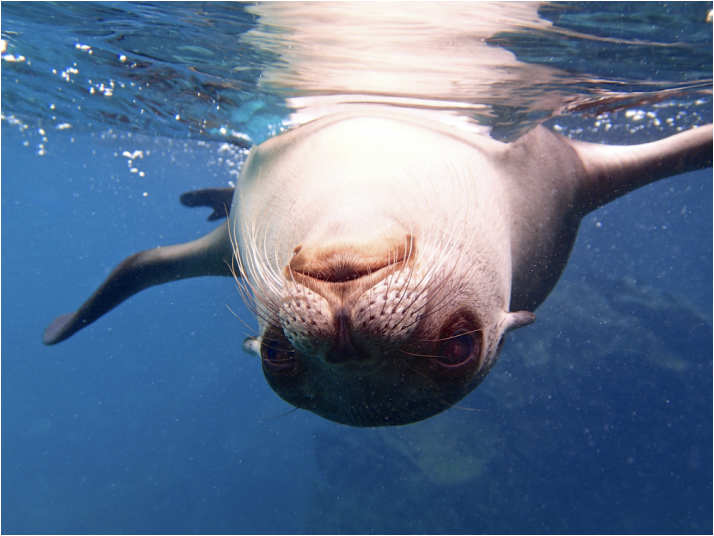 Join Rene from Grand Explorations on a G Adventures hosted trip to the Galapagos Islands! Arrive in Quito at any time. Place your $250 deposit by May 1 and receive a complimentary arrival transfer from the Quito airport to our hotel. Located 2850m (9348ft) above sea level, the Ecuadorian capital of Quito enjoys a wonderful spring-like climate, despite the fact that it is only 22km (14 mi) south of the Equator. On a clear day, several snow-capped volcanoes, including nearby Pichincha, are visible from the centre of this city nestled in a mountain-flanked valley. Fly to Santa Cruz. Visit the Charles Darwin Research Station. Inaugurated in 1964 and based in Puerto Ayora on Santa Cruz Island, the Charles Darwin Research Station is the one place where visitors can easily see the famous Galapagos tortoises, which can live up to two hundred years. This is a great opportunity to observe many species of tortoises and land iguanas in captivity, brought back from the brink of extinction. Visit the highlands of Santa Cruz to observe the Galápagos giant tortoise in its natural surroundings. The area is also famous for amazing lava tunnels, some of which are more than 1km (.6 mi) long! From this elevation, the panoramic views of the other islands are stunning. 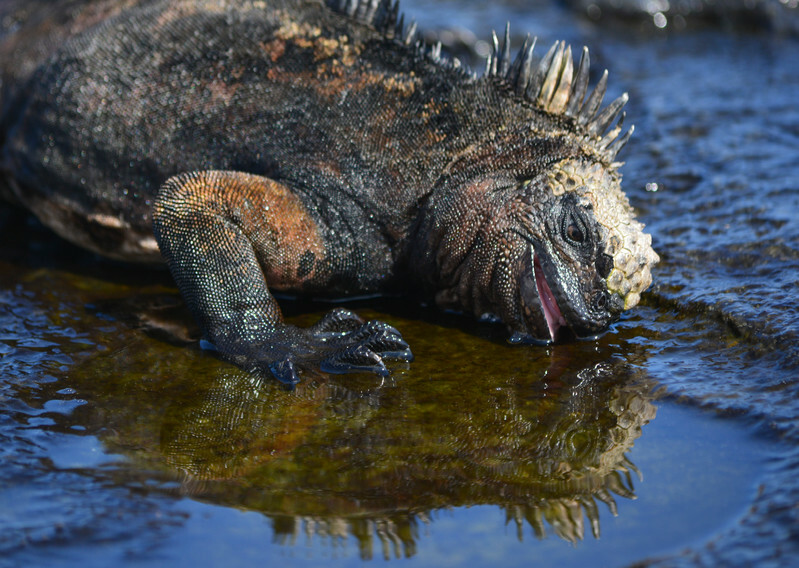 Later in the day, head to Tortuga Bay, a beautiful beach with fine white sand to visit marine iguanas, do some kayaking, or soak up some sun. After a free morning, depart Santa Cruz and head to Floreana Island. Keep an eye out for dolphins and the magnificent albatross along the way. Enjoy an introduction to snorkelling directly off Black Beach on the island. After, head up to the seldom-visited highlands of Floreana. Hear tales about the pirates, whalers, seal hunters and buccaneers who once lived in this isolated and unique landscape. Take a morning speedboat journey to Isabela Island. Visit "Tintoreras", Shark Alley to kayak and observe the whitetip reef sharks found swimming in the channels between the rocks. Get a close-up view of pelicans, frigatebirds, and diving blue-footed boobies. Watch for manta rays and rare Galápagos penguins, of which only 800 pairs exist. Snorkel in the calm waters of Concha de Perla and keep an eye out for marine life. After a transfer over the island of Santa Cruz, arrive at Baltra Island for the return flight to Quito. Upon arrival in Quito, transfer to the hotel for one last night on the town. Our representative in Quito will be able to advise on and help with some of the many day tours available in and around Quito. Depart at any time. To fully experience this charming city, booking pre- or post-accommodation is highly recommend. Physical Demands - Average: Hiking, trekking, biking, rafting, and kayaking adventures. Suitable for most fitness levels. Nothing too challenging. Hold your spot for only $250! Land-only pricing based on sharing a room is $3,049 per person. There are a limited number of single rooms and payment options available. Please contact me for more information. Interested in extended your trip? I can help you plan that as well. No roommate? No problem! We'll match you up with one.